Riyad Mahrez is set to reject Leicester City’s offer of a new contract after the Algeria forward decided he wants to pursue a new challenge away from the Premier League champions. Mahrez, who joined Leicester in 2014 from the French side Le Havre for £375,000, has attracted widespread attention from clubs in England and overseas after his performances in their title-winning season. The PFA Player of the Year still has three years to run of the contract he signed last August, in a deal which is believed to be worth £35,000 a week. However, having held talks with Leicester over a new deal believed to be worth in the region of £80,000 a week, Mahrez is understood to be unwilling to extend his stay at the King Power Stadium and has instructed his representatives to find him a new club this summer. The news will come as a blow to Claudio Ranieri’s side, with the France midfielder N’Golo Kanté set to join Chelsea after a fee was agreed on Friday. The Italian had been optimistic about Mahrez’s future 24 hours earlier saying that he was confident the midfielder would stay at Leicester. “He remains with us. He’s not the kind of man who will say: ‘Coach I want to leave.’ He is happy here,” said Ranieri at the club’s training camp in Austria. The newspaper France Football stated that Mahrez has a desire to join a big European club, with Barcelona among the clubs to have been linked with him in the past. 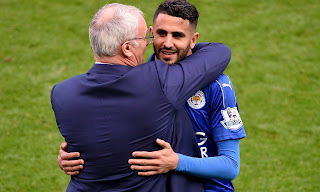 In May Mahrez’s agent told the Guardian there was a possibility his client could leave the club after contributing 28 goals and assists in Leicester’s remarkable title-winning season. “When you have been playing the way Riyad has this season it is bound to attract attention,” said Kamel Bengougam. 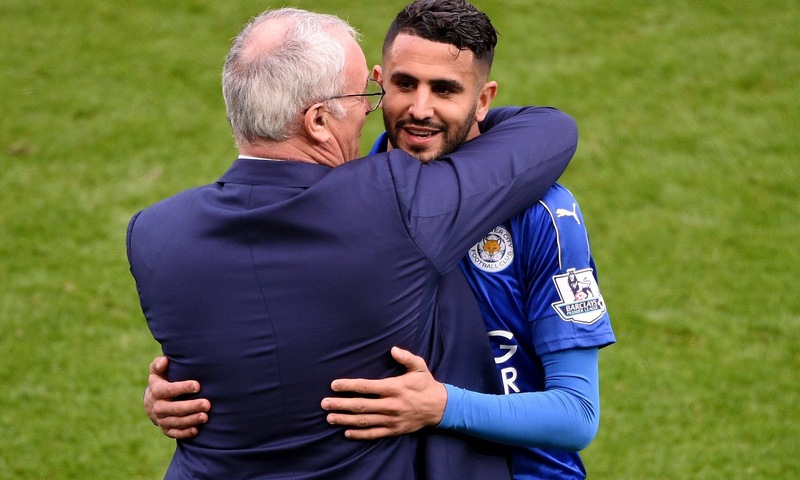 “He is very happy with Leicester and of course it has been a fantastic season. They will play in the Champions League next year as well, so he would be happy to stay.